Looking to find a natural toothpaste that is clinically proven to whiten your teeth? 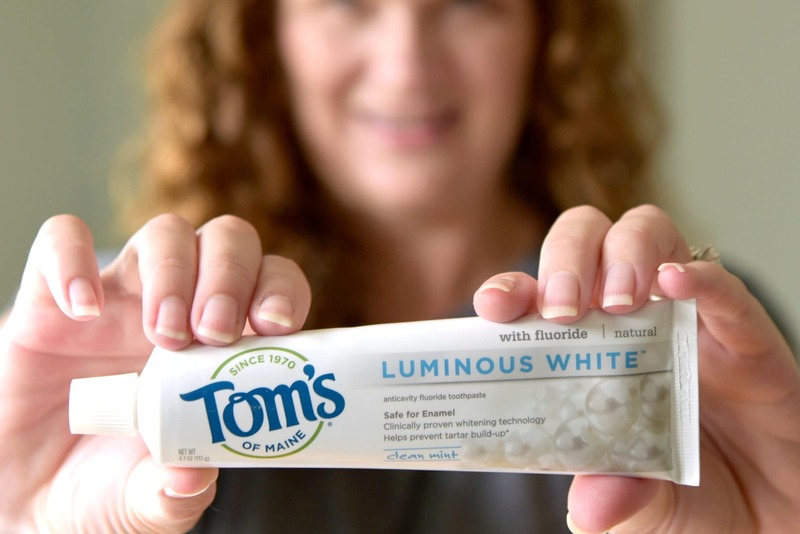 Check out our thoughts about Tom’s of Maine Luminous White toothpaste and why we switched! Is All Toothpaste the Same? I have always been well aware of the importance of brushing my teeth at least twice a day. Well into my adulthood, I am still pretty good at following this rule. My kids are also following this regimen despite grumbling protests, I make sure that all teeth get brushed every morning and night. While the practice of brushing my teeth has always been at the forefront of oral health, the actual toothpaste that I use has not. I didn’t have any rhyme or reason for the toothpaste I bought at the store. I usually just got what was on sale. It was all the same, right? Wrong. As someone that focuses on health, I constantly look at the ingredients of just about every food that I purchase. I seek out natural foods that don’t contain any additives that may be bad for my family. But it never occurred to me until recently to look at the ingredients of my toothpaste. What exactly was I brushing my teeth with? This is why I was so thankful to work with Tom’s of Maine. 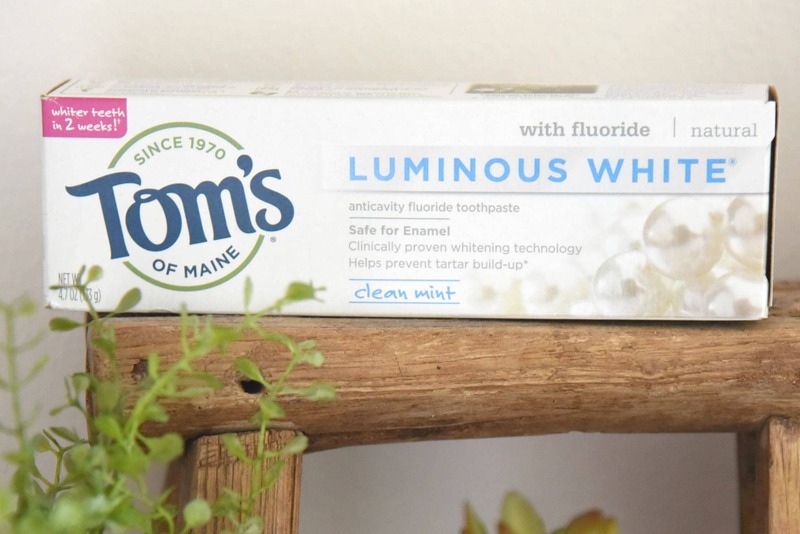 Tom’s of Maine sent me their Luminous White toothpaste for my family and me to try out. It was a huge wake-up call for me. Tom’s of Maine uses ingredients that are sourced and derived from nature and are free of artificial flavors, fragrances, colors, sweeteners, and preservatives. They are also free from all animal ingredients (except some bee products) making them vegan-friendly. And no need to worry about animals, they do not engage in animal testing. Oh yes, it is also kosher and halal certified. Can you say any of that about your other toothpaste? Using this safe and effective dual silica whitening technology, Tom’s of Maine Luminous White toothpaste has been clinically proven to remove surface stains and whiten teeth in two weeks. You will be left with a brighter, whiter smile. And you can smile often knowing that you not only are being good to your body, you are helping out the earth as well. The more I learned about this company, the more impressed I am. Tom’s of Maine has spent more than 48 years developing natural personal care products with a focus on natural, responsible and sustainable practices. They do this while donating 10% of their profits to those trying to help the planet! They are always trying to use recycled materials and they focus on recycling and biodegradability. They source their ingredients through the use of sustainable growing and harvesting. I feel good giving this company my hard earned money. Don’t settle for any toothpaste. If you are conscious about what you put in your body, you should be concerned about what toothpaste you are using for you and your family. 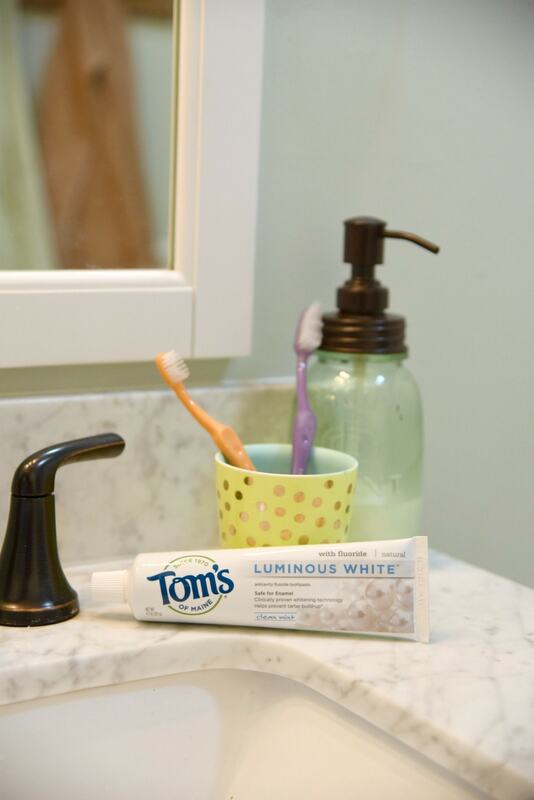 Try out Tom’s of Main Luminous White toothpaste and start on your journey to a more natural, brighter smile. I hope you pick up a package of Tom’s of Main Luminous White toothpaste the next time you are at your local retailer and let me know about your experience. « Themed Beach Sensory Bin with Kinetic Sand!